If you have any questions about the SEA JEWEL information page below please contact us. The impressive luxury yacht SEA JEWEL is a motor yacht. 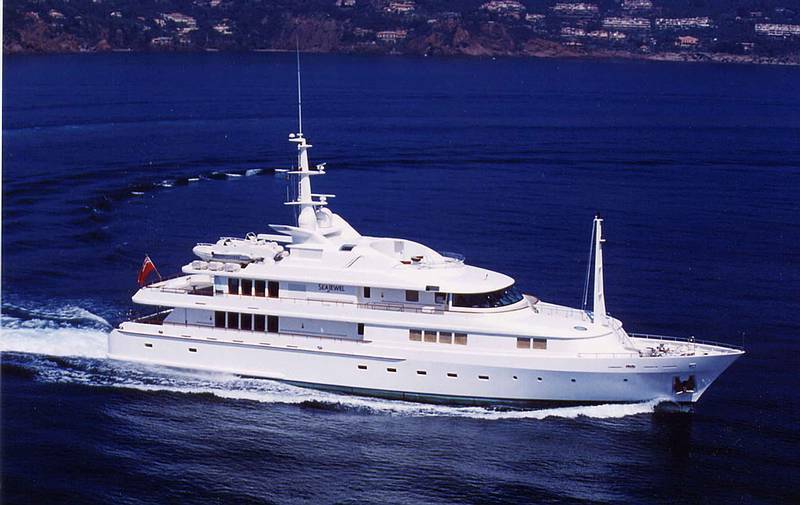 This 52 metre (171 foot) luxury yacht was constructed at Abeking & Rasmussen Yachts (Schiffs-Und Yachtwerft ) in 1997. SEA JEWEL was previously registered as 6410. Superyacht SEA JEWEL is a majestic yacht that is able to accommodate as many as 10 people on board and has a total of 24 crew. 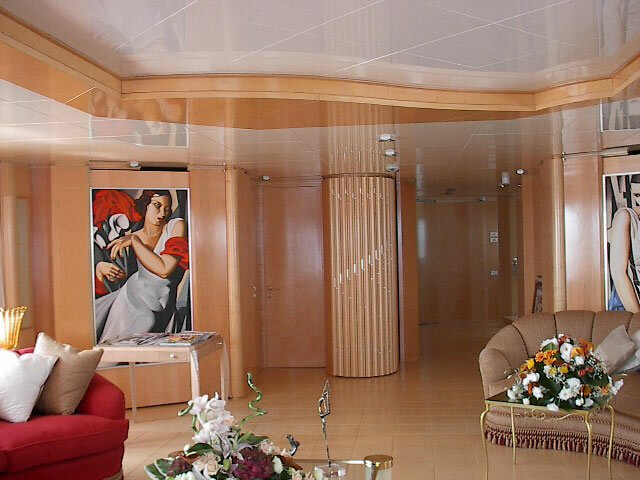 Ready for launch for 1997 the comparatively modern interior design illustrates the essence which are originating from Luigi Sturchio and the owner who commissioned the yacht. Sea Jewel was A&R’s largest yacht for many years. Designer Espen Oeino created an impressive appearance and fantastic comfort with two helms, two stabilisers and an additional stem propeller give best possible maneuverability. She has impressive vibration and noise reduction and a wide range (3500 nautical miles). Her interior originates from Luigi Sturchio, the Italian designer of large and worldwide largest yachts giving "Sea Jewel" her incomparable timeless charm. The yacht's wider design collaboration came from Espen Oeino and Abeking & Rasmussen. The technical naval architect intellectual property are a products of Espen Oeino. Motor Yacht SEA JEWEL received her elegant interior designing from the interior design firm of Luigi Sturchio. Built by Abeking & Rasmussen Yachts (Schiffs-Und Yachtwerft ) the vessel was fabricated in Germany. She was officially launched in Lemwerder in 1997 before being handed over to the owner. A fairly large feeling is achieved with a total beam (width) of 10.3 m or 33.8 feet. With a 3.51m (11.5ft) draught (maximum depth) she is fairly deep. The material steel was used in the building of the hull of the motor yacht. Her superstructure over the hull is built from aluminium. In 2008 extra refitting and modernisation was additionally performed. The yacht utilises two capable CATERPILLAR diesel engine(s) and can accelerate to a industrious top end continuous speed of around 16 knots. The main engine of the ship produces 1740 horse power (or 1280 kilowatts). Her total HP is 3480 HP and her total Kilowatts are 2560. For propulsion SEA JEWEL has twin screw propellers. As for the yacht’s stabalisers she was supplied with Koopnautic. Regarding thrusters she was fitted with Koopnautic. The boat’s comparatively good cruise speed is 14 knots which enables a range of 3500. The impressive luxury yacht motor yacht SEA JEWEL can sleep a total of 10 people and 24 qualified crew. Total engine power output 3480 HP /2560 KW. Her top Speed is around 16 nautical miles per hour. 3500 at a speed of 12 knots. Caterpillar 2 times 174 kilowatts, 1 times 95 kilowatts. The yacht was built with Drews air-con. Her deck material is predominantly a teak deck. The luxury yacht SEA JEWEL displayed on this page is merely informational and she is not necessarily available for yacht charter or for sale, nor is she represented or marketed in anyway by CharterWorld. This web page and the superyacht information contained herein is not contractual. All yacht specifications and informations are displayed in good faith but CharterWorld does not warrant or assume any legal liability or responsibility for the current accuracy, completeness, validity, or usefulness of any superyacht information and/or images displayed. All boat information is subject to change without prior notice and may not be current.